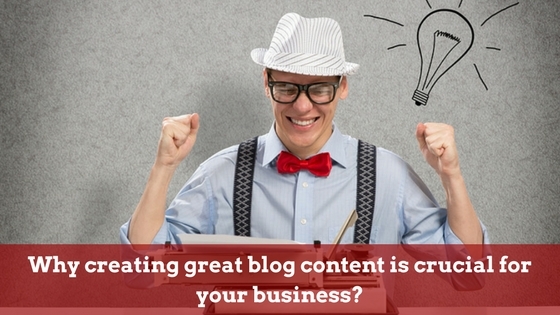 Why creating great blog content is crucial for your business? Why creating great content is crucial? You might even have got bored about hearing this over and over again! But it is an undeniable fact that you got to accept. The fact “Content is King” is only partially a fact, though. Not all content is King. Nope! Only great content is King and if you don’t create great content, you might stop creating any content altogether; because nobody is going to care about your mediocre content anymore. Mediocre content worked a while ago. But the times have changed now. There is no room for mediocre content anymore, if you are serious about your blogging success. 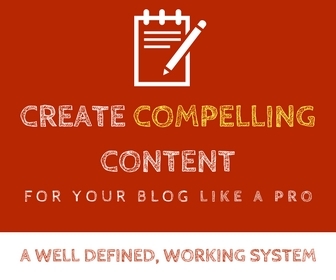 So let’s see why it is crucial to create great content for your blog! Content is today’s asset; not any content but great content. 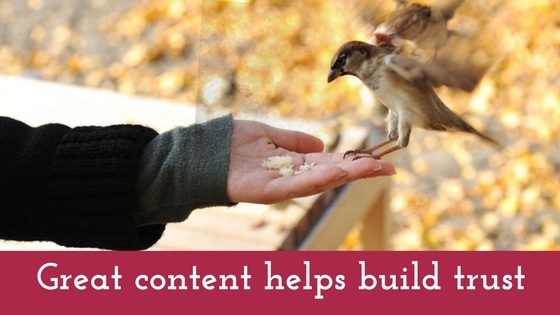 If you are creating great content today, you are building a precious asset for your business for the years to come. And you can be proud of that asset! If you have such a valuable asset for your business, it will automatically generate leads and/or sales 24/7/364. It is something scalable and it is something that builds over the time. If you are just another blogger who creates mediocre content, people know you only care about yourself. Publishing that 500 word post is going to do no good to your reader. You cannot cover any topic in-depth in a mediocre post. I am sure you agree with me on that! To cover a topic in-depth, to provide helpful information, solution etc. you have to go far beyond that! Unless your post is a tutorial post where most of the point is conveyed via screenshots, or an infographic, you should go beyond the 500 word limit. When you write in-depth posts like that people know you care. You put all your best efforts and time to create that content because you care for your reader. You want that content to be really helpful to the reader. Whenever I land on a new blog, I usually browse through the content to see if I can feel the blogger’s “care” in the content. Only great content showcases that care. Great content is something that makes people nod. It is something that is really useful to the end reader – not seemingly useful for the sake of the blogger. Great content touches people’s heart. And this is crucial. This is how you can build trust with your audience. This is how you can establish a connection. It has been countless times that I have landed on a mediocre blog post and have found myself totally disconnected with the pixels on the screen. I could hardly relate to what the blogger is saying. On the other hand, with great content it is easy to instantly relate to the blogger’s idea. I can easily make the connection and hence it helps me to build trust. Getting those affiliate sales and even the sale of your own products depend on the level of trust you build! Publishing great content is one of the easiest ways to do it. You cannot create great content with mediocre work! Creating great content involves lots of research. You need to keep yourself updated of the day to day happenings. You have to keep yourself updated about the latest tools and technological advancements that are introduced in your industry. When you are a blogger who creates great content on a regular basis you automatically keep tabs on the happenings around you. You stay on top of stuff in your niche! Being knowledgeable is a great thing for a blogger. When you create great content you do lots of research. You work for it. You cannot create epic content just like that in 20 minutes or an hour! Great content demands you to work for it. And when you do that work, you naturally get to know stuff in your industry! Just in close connection with what I said above, when you work hard and do the needed research to create great content, you naturally become a resource person. You come to know a lot about the topic! And when you put out that knowledge in the form of a blog post, or a presentation or a tutorial, it is easy for people to see your expertise on the topic. Just imagine what the mediocre content will showcase about your talents, skills or expertise? But great content will never fail on you! You strive to get the attention of your readers, right? They have a very short attention span. Much shorter nowadays compared to the earlier days. And there’s too much content out there in the same topic as yours, right? So how can you get the attention of your readers? Has it ever occurred to you that you stay awake at night thinking about that mediocre blog post you published? It has happened to me in my early days of blogging. Great content, on the other hand, gives you peace of mind. You have a sense of satisfaction that you have published something really worthy for your readers. This also gives you the confidence you need continue creating more content for your blog. Great content gets you results! Now tell me – how many of your casual posts have performed extremely well? You keep on publishing post after post and nothing happens. There is a plateau – with traffic, sales, subscribers, growth and everything related to your blog. Why is that? It is because, mediocre content doesn’t get you results. There’s so much of it out there that people have literally gone blind to such type of content. There’s nothing worthy to be shared in such posts. So your mediocre posts don’t get spread. They are not appreciated. You don’t get comments on your posts. Your readers are not “convinced” enough to join your email list after they’ve just read your mediocre post. Fair enough, right? You can’t complain about that. If you want to get results, great content is the only way to go about! Oh yes I have gone through this phase. I used to publish just for the sake of it. Afterwards feeling guilty about it too. When I became more focused on blogging, the first thing I did was to delete the post that did nothing for me or my readers. I felt the need for a professional approach than telling my readers how lazy I am or how I had been absent for the past one month. You know the satisfaction I get nowdays after publishing a good , value adding article, Uhh bliss!! Glad you could relate to this 🙂 Seems it happens to most of us in the early days when publishing “more” takes the focus. Since we strive to publish more content we fail to focus on its quality. Thanks for your comment. Have a great week! My content has improved a lot compared to last year and the year before. With that I’ve been getting way better results and on top of some of my commenters have told me that they bookmarked some of my posts. This goes to show how vital creating good quality content can do for you. Yes it does takes a bit more time to put it all together, but it’s well worth the effort. 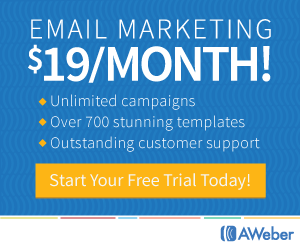 You’ll attract more people, more subscribers and more sales this way. Above all you’ll build a great reputation as someone who’s always putting out content that correlates with what your readers want! Thanks for the share Jane! Have a great week! Yes reputation – I love that! More than sales and subscriptions I value that a lot. Mediocre content paints a bad picture of me and my business on the internet. When I publish good content I am looked upon as a resource – an authority! Thanks for sharing your thoughts. Have a great week! Your article touched me. It was hard work for me to create a piece of content. I will not be satisfied if the content I create does not provide a benefit to my readers. That’s why sometimes I did more research than usual. It really takes time. Keep up the hard work and have a great week. Thanks for sharing your thoughts. You too have a great week! 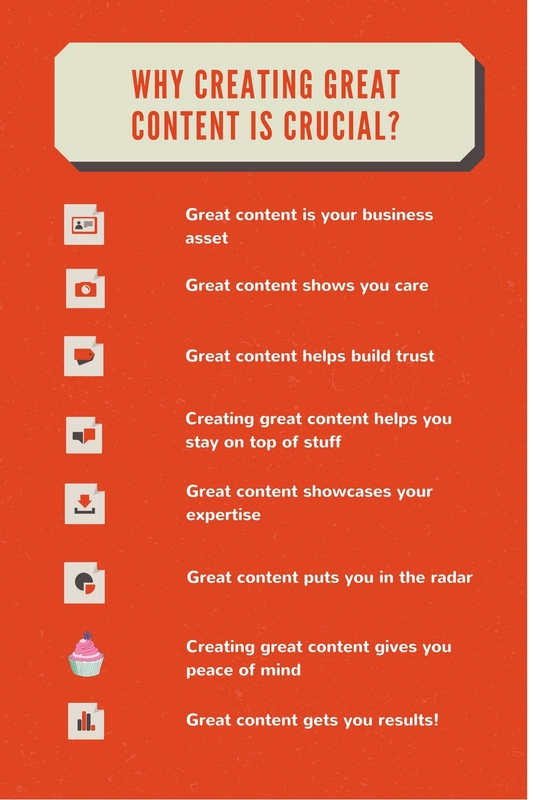 Thanks for sharing this great content about creating great content. In this age of stiff competition it is must to be noticeable and one can’t get notice of others by just promoting or building relations with influencers. For this purpose one needs to create quality and that can be done by sticking to a posting schedule and by writing original contents after extensive research. One should move ahead while creating awesome content step by step as Rome was not build in a day. All the tips you mentioned to create quality contents are obviously result of your vast blogging and writing experience so one should simply follow them to excel in his niche. Well said! As Rome was not built in a day a content collection is not randomly built in a day. It has to be crafted carefully with a strategy in place! Thanks for your wonderful comment 🙂 Have an awesome week! You are SO right. We are now into 2015 and more and more people are coming online. There is so much content to read so when we’re searching for something to help us in whatever way that might need, we don’t want to just read some slapped up stuff that isn’t really going to do us any good. I see a lot of that still around. There is a lot of pressure for us to do well, to write well, to get our content seen and of course stand out. It’s not easy to do but I do know that practice definitely helps us become better. I see all these posts that are thoroughly researched with all their graphics and images and that’s not really my style. It’s hard to not compare yourself to others at times but I took a different direction which of course is having my readers relate to me as a person having experienced the same things and able to help in that way. Who doesn’t want to learn from someone who has been there, done that and moved through it! Great message Jane, thanks so much and you have a fabulous weekend my dear. Oh ya we are in 2015 – there’s more people and more importantly, MORE content. Naturally, mediocre content gets lost in the sea for sure! If we want to stand out and make an impression, we have to create great content – no doubt on that! Thanks for your wonderful comment dear. Have a great week! As a person who’s had their content increase dramatically over the past year or so, I agree. You definitely need to write great content … and write it consistently. That’s why I don’t take anything off with my content. I try to make sure I’m either delivering … or OVER delivering with everything I put out there. Because you want your content to make a great impression. And you can get results if you consistently come out with great content. Yes write great content and write it consistently – very important. Your policy is great – either deliver or over-deliver! This topic is near and dear to my heart. I love to read about content creation because it’s an integral part and the core of our business. Absolutely think you’re right, building the connection with content that speaks in the reader’s language, and addresses their pain points is critically important. It does touch the heart. When we’ve taken the time and effort to research and get to know our audience completely, the benefits are wonderful. You’re spot on. When creating content on a regular basis, it does make it easier to keep up with what’s happening in the industry. Really good article, Jane – I enjoyed it. Yes we bloggers cannot escape content creation 🙂 Our content stands and speaks for us (our business) so we have to craft content with great care! It is not something we can pump out in a hurry and get published. It stands there on that web page representing our identity – so we have to be very careful. I’m glad you liked the post Carol 🙂 Thanks for stopping by and sharing your views – means a lot to me! Hi Jane, what a valuable post, I couldn’t agree more with you on this, creating amazing all-round content that helps people solve problems is definitely the way forward in today’s blogging standards, and trying to do that with 500-word blog posts can be a bit of a challenge for sure. Unless you’re already a well established A-list authority blogger, where you could get away with writing 500 word blog posts, otherwise to gain trust and credibility with your blog you have to create content that offers everything that readers want. Back in the beginning I was churning out 400 and 500 word blog posts on a daily basis, whilst they were somewhat OK, they weren’t great either. Looking back now I can’t believe I wrote such useless content, but we have to start from somewhere I guess lol. These days I blog way less and put my absolute heart and soul into each post, and yes like you I have lost sleep wondering whether the last post I put out was really that good or not, I think that’s great, it shows we’re consciously aware of how great we have to be with our content writing. Valuable, resourceful, problem solving and diversified content is king for sure. Have a great rest of the week Jane, thanks again for reminding a lot of bloggers of the importance of creating great content. You are not alone. I too was pumping out numerous 500 word mediocre posts in the past. At that time I was thinking that my blog should have a post up on every topic in the niche. I was not too concerned about its quality. Thanks for sharing your thoughts Fabrizio 🙂 Have a wonderful week! I so agree with all the points you mentioned above. There is so much being shared online we have to do what we can too stand out for sure! I use to think that the extra time t takes to create something that stands out wasn’t important. That couldn’t be further from the truth. We can’t get caught up in the you have to publish more often for better results. Fewer post high in quality is the better way to go! Well said – it is not about the quantity. It is about the quality 🙂 Fewer posts that are of high quality is what makes one stand out. I love the great content as much as the next person, but I disagreed when you said 500 word blog posts didn’t cut it anymore. I think they do, as long as you cover all six critical questions when you’re telling a story. I like to believe that our time is precious. Some people just don’t have the time to sit through a 1,500 word blog post. I know I don’t! The one thing that burns my backside the most is when I read a 1,000+ post and it’s nothing more than the blogger repeating himself. How annoying is that? BE CONCISE! If not for you, then for me! I do know ONE girl who can post a 1,000 word article in an hour. The knowledge she shares isn’t subpar either. She does a great job of handing you solid content within a 500 word post, too! I do agree that this isn’t possible for the mediocre blogger, but some people just have a knack for sharing valuable insight in less than 1,000 word. I know I do, and I know many other bloggers who can say the same. Thanks for stopping by and thanks for raising a wonderful point. Sorry that I didn’t make it clear – first of all it is not about the word count 🙂 500 is just a number I used for illustration purpose; plus it was quite popular back once where people used to talk all about 500 word posts. What I actually meant is this – a mediocre post that only scratches the surface. I so agree with you. I don’t have the patience to read posts that are too long. Yes one can create “ultimate” guides that are 3000 works or longer than that. But just like you, I usually don’t have the time to read such long posts. I do stop by some exceptional ones that are long – but not always! I agree with you on that. Thanks for sharing your valuable insights. Have an awesome week! You’re absolutely right! Great content is something you can own, and something that is uniquely you or your business. It should be the cornerstone of any business to constantly be innovating in their industry and content is a great way to showcase that. Thanks for sharing your advice.